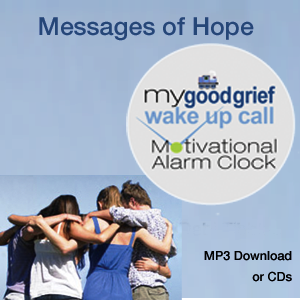 Wake up with messages of hope from Debi Tibbles, a mother who lost her child to cancer and learned to use her grief for good. 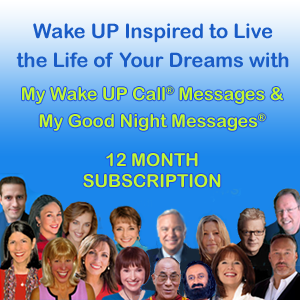 Wake UP with Daily Messages of with hope, humor and heart from Debi Tibles! Messages of hope and resilience from a mother who lost her child to cancer. Debi helps others walk through their own grief by sharing her personal story of learning to use her grief for good. Care giving experiences shared with hope, humor and heart. Debi was born and raised in England and relocated to the United States 12 years ago. She enjoyed being a stay at home Mom to her three children while working part time in the fitness industry. A year after her arrival to the U.S., Debi’s youngest child, Ollie, was diagnosed with an incurable brain tumor at the age of 5. He battled bravely for two years before sadly losing his life at age 7. Lost in grief, Debi experienced a profound moment which was to change the course of her life and path forever. She began writing what is now a complete book entitled “All Aboard!” due for publication in the fall. Debi and Ollie Tibbles Make a Wish FoundationDebi and Ollie’s All Aboard! tells the journey of her son, her loss and how the impact affected her and her family and all who came to know her. The power of love and faith proves that amidst the horror of such loss, there is life after death. Debi shares her message as a Motivational Speaker for Children’s Memorial Hospital in Chicago and the Make a Wish Foundation of Illinois, at live events and via the airwaves, most recently with John St. Augustine, the creator of Oprah Radio. Her freshness, honesty and openness about losing a child is both powerful and inspiring, and has helped many parents walk through their own grief. Currently Debi is working on her second book, “Good Grief” about facing grief head on, lessons learned, the healing and good that can arise, as well as, eventually, peace and joy.